This article originally appeared at politico.com and photo credit: MSU Archives and Historical Collections. How the friendship between a Vietnamese politician and an American academic led Michigan State University into a vast experiment in nation-building and pulled America deeper into war. Time was, Michigan State University made national headlines mostly with its football and basketball teams. Then, more than 250 women accused Larry Nassar, a Michigan State physician and USA Gymnastics team doctor, of sexually assaulting them in the course of their gymnastics training. Since then, Nassar has been sentenced to up to 175 years in prison, MSU’s president and athletic director and five other officials have either resigned or been forced out, and pressure is mounting for its board of trustees to walk the same plank. From here on, many fear, the university’s name will be indelibly linked with the vile Dr. Nassar’s wholesale sexual abuse. Or will it? A little over 50 years ago, another national scandal overtook Michigan State University, an academic and political cause célèbre that seemed to leave the school indelibly associated with—even, in some quarters, blamed for—nothing less than America’s war in Vietnam. Today the fateful exercise in nation-building and government-and-gown cooperation known as the Michigan State University Advisory Group rates but a footnote in popular histories of the war, if that. 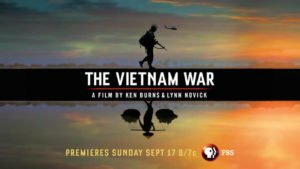 Ken Burns’ and Lynn Novick’s recent 18-hour documentary series The Vietnam War does not mention it at all. To be sure, Michigan State’s entanglement in Vietnam was very different from Nassar’s crimes—a much more complex, morally nuanced saga of good intentions gone awry rather than stark abuse gone unmonitored. But its consequences were much broader. In 1966, when news of the MSU project broke widely, it became notorious thanks to the exposé-packaging skills of a San Francisco editor named Warren Hinckle and his muckraking magazine, Ramparts. 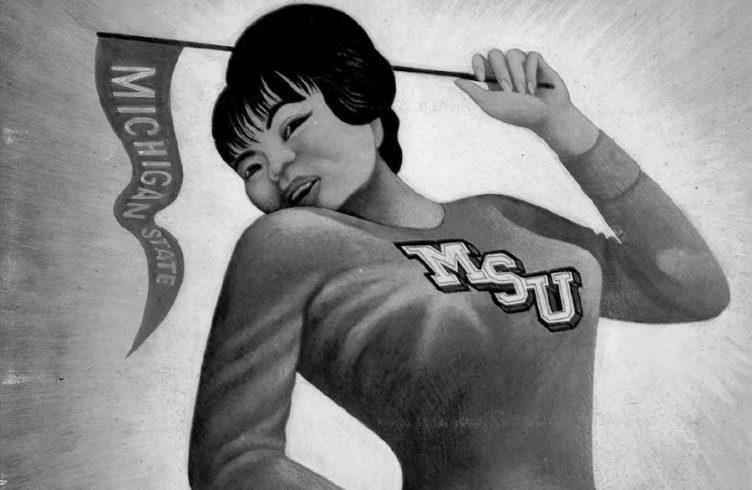 The cover of Ramparts’ April 1966 issue was one of the era’s definitive magazine images: a buxom caricature of Madame Nhu, the sister-in-law of South Vietnamese president Ngô Đình Diệm and the most visible and provocative voice of his regime, as a sweatshirt-clad MSU cheerleader. The story inside, “The University on the Make,” was co-written by Hinckle and two other Ramparts editors, Robert Scheer and Sol Stern. It featured a confessional-but-accusatory introduction by an apostate ex-MSU political scientist named Stanley Sheinbaum. The main article recounted, in tones by turns gossipy and denunciatory, how an overambitious university had sold its soul, become a shameless CIA front, and helped launch a ruthless dictatorship and wasteful war by miring itself in a self-serving “Vietnam Adventure,” complete with the servants, spacious villas, free-flowing booze and other perks of the neocolonial elite. This indictment has been taken up lately by Jeremy Kuzmarov, a history professor at the University of Tulsa, who denounced MSU’s role in “the making of a police state in South Vietnam” in his 2012 book Modernizing Repression and in a critique of the Burns/Novick documentary for HuffPost. It’s an appealing narrative, especially in light of the blunders and tragedies that ensued in Vietnam. But the full story is more complicated, interesting and, perhaps, instructive. It’s a story I was present at, as much as a kindergartner can be present at such adult dramas and intrigues. As a young political science professor, my father, Robert Scigliano, was an assistant to the chief of the MSU project from 1957 to 1959. He later co-wrote a measuredly critical book about the project that was a prime source for the Ramparts article (though he would hardly endorse Hinckle and company’s practices or conclusions) as well as the first in a series of articles in American journals that triggered a rupture with President Diệm and the demise of the project. Living in Saigon then was a wonderful tropic adventure for a 4-, 5-, and 6-year-old, but it wasn’t all cocktail parties and elephant rides for the working members of the MSU Group. Many fell seriously ill with amoebic dysentery or (as in my father’s case) hepatitis; one even died. Others survived despite being kidnapped and pinned down by violent rioting. Their effort in nation-building, and all that resulted from it, stemmed from a friendship born in Japan in 1950 between two remarkable men: Diệm, Vietnam’s future president, and Wesley Fishel, a University of Chicago Ph.D. and former Asian-language specialist in U.S. military intelligence. Diệm, an ardent nationalist and anticommunist, had served as a Cabinet minister under the French-backed puppet emperor, Bảo Đại. When the French colonialists and Communist Việt Minh warred over his country, Diệm chose exile over aligning with either side and sought American support for his country’s liberation and his own ascent to power. 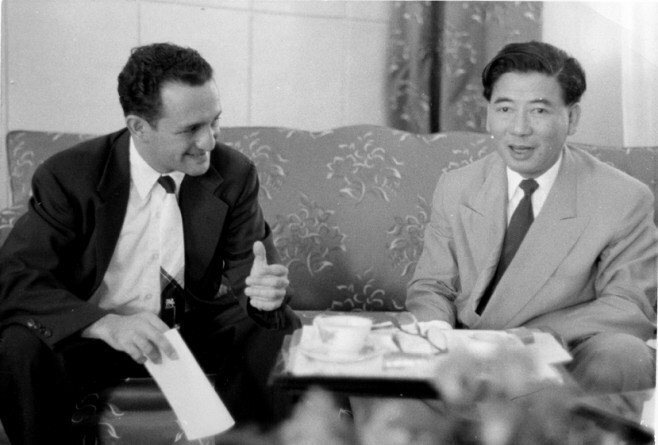 Fishel, a classic postwar liberal internationalist, saw Diệm as the best hope for a “third force” that could steer Vietnam between the shoals of communism and colonialism. And, at a visceral level, he “enjoyed being influential,” as my father recalls. The feisty, pint-sized Fishel so reveled in being close to power that he struck other colleagues as preening or star-struck. Each saw how the other could be useful to his ends, but as my father notes, Diệm would prove more adept at getting what he wanted. Fishel landed at MSU in 1951 as an associate professor of political science. In 1952, Diệm asked the French authorities to let Michigan State provide technical assistance to the formative Vietnamese government, but was rebuffed. The next year, Fishel, now assistant director of MSU’s Government Research Bureau, got Diệm appointed as the bureau’s Southeast Asia consultant and brought him to the U.S. That visit proved fateful. 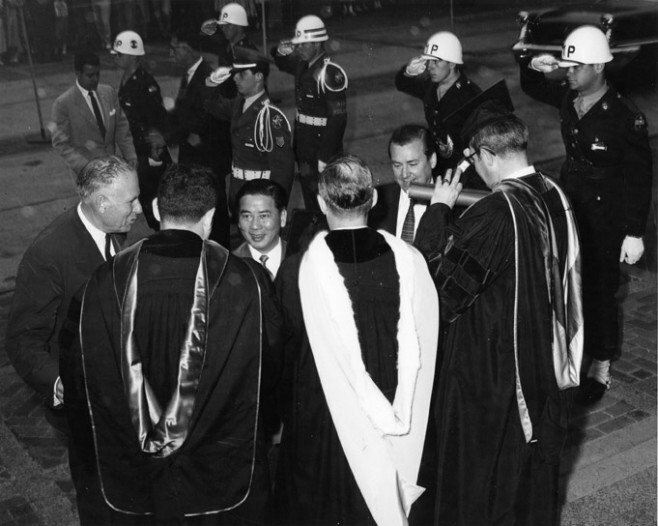 With introductions from Fishel, Diệm, a Roman Catholic, met and charmed some of the most powerful Catholics in American politics: the Kennedys, future Senate Majority Leader Mike Mansfield and Cardinal John Spellman, the so-called “American pope,” who would become one of the most ardent supporters of Diệm’s regime and America’s war in Vietnam. In 1954, the French suffered a catastrophic defeat at the hands of the Việt Minh. Under a multinational cease-fire hammered out in Geneva, Vietnam was to be partitioned temporarily, then reunited following elections to be held two years later. The north went to the Việt Minh and the south became the State (later Republic) of Vietnam, nominally headed by Bảo Đại, who was now the ex-emperor. 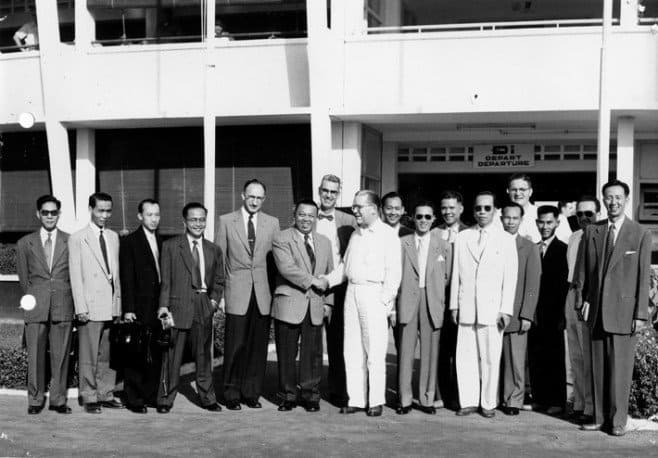 Diệm’s American connections helped him get appointed premier; his government and the United States refused to sign the Geneva Accords and blocked the planned elections, which the Việt Minh were widely expected to win. Diệm promptly requested aid from his key backers, the U.S. government and Michigan State University, and asked his old friend Wes Fishel to come aboard as an adviser. Fishel did, officially serving as liaison to Diệm on the staff President Dwight Eisenhower’s special emissary in Vietnam. Their political partnership suited the times. America’s cold warriors were scrambling to turn fragile postcolonial states into bulwarks against Marxist ideology and Soviet influence. Many universities enlisted in this effort, eager to turn theory into practice, take their missions to a global level, and rake in federal dollars. By the mid-1950s, the U.S. government was sponsoring 42 university aid missions around the world. None enlisted more eagerly than Michigan State, whose Vietnam group became the largest of those missions. The school’s longtime president, John Hannah, was an idealist, an empire-builder and former assistant secretary of defense with deep ties in Washington, D.C. Over the 28 years he led the school, Hannah transformed the backwater Michigan State College into one of the nation’s largest universities and an important research institution, growing its enrollment more than sixfold. 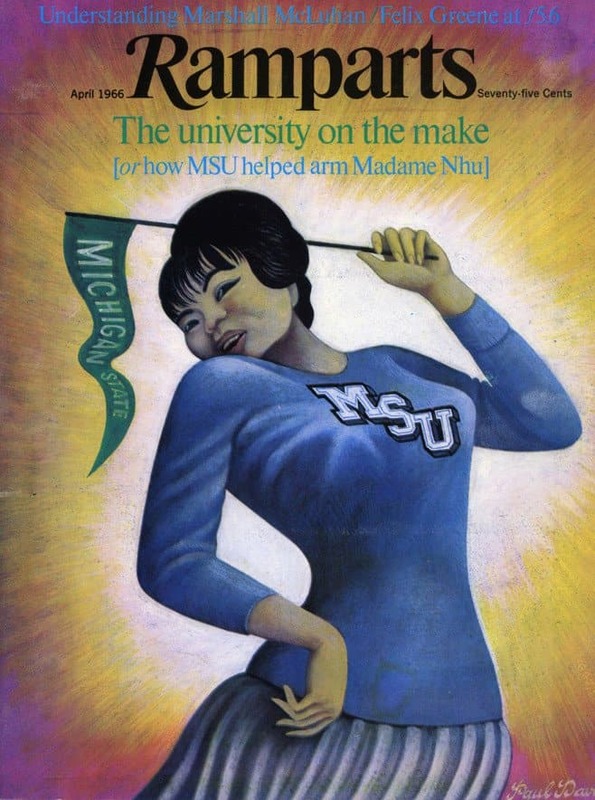 As MSU historian John Ernst shows in Forging a Fateful Alliance, a deeply researched history of the university’s Vietnam venture, Hannah saw nation-building as a natural extension of the school’s service mission as a pioneering land-grant college. “The world is our campus,” he proclaimed. Above and beyond the Fishel–Diệm connection, Michigan State had exceptional resources in two fields that the U.S. agencies in Vietnam lacked: law enforcement and public administration. To fund his lavish lifestyle in France, Bảo Đại had franchised Saigon’s police operations to the Binh Xuyên, a protection racket and private army with roots in river piracy and sidelines in prostitution, gambling and opium. Vietnam’s police services desperately needed reorganization, training and equipment; Michigan State, home to one of the largest criminal justice schools in America, could provide them. Still, U.S. officials resisted entrusting the job to MSU: Fishel was too independent, too close to Diệm, too quick to flaunt his inside connections and knowledge. But Diệm trusted Fishel and insisted he stay. 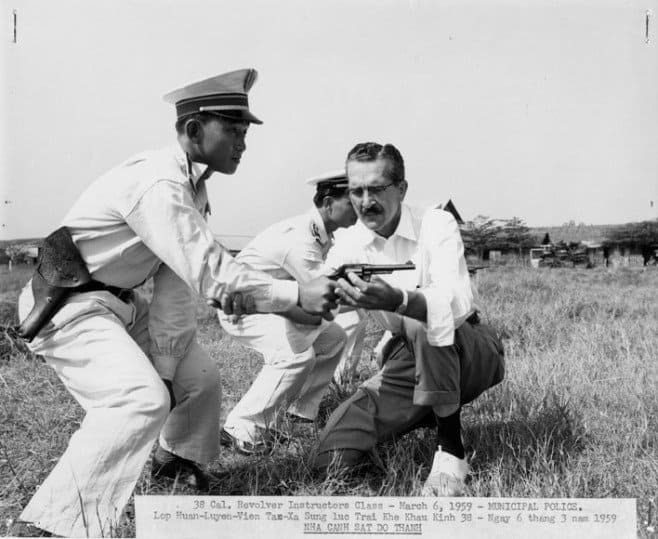 In May 1955, while Diệm’s Vietnamese National Army crushed the Binh Xuyên, Michigan State University signed a contract with the Republic of Vietnam and the U.S. Foreign Operations Administration for a menu of technical assistance: It would develop, train and equip the civil service, field administration, local governments and police. With the Binh Xuyên gone, Diệm proceeded to depose Bảo Đại in a rigged referendum and, in October 1955, established himself as president of the Republic of Vietnam. The deck was clear, as long as one didn’t fret about the Việt Minh, who were consolidating their rule in the north and organizing resistance in the southern countryside: Time to build a nation. Almost immediately after MSU and the U.S. and South Vietnamese governments signed their contract, a humanitarian crisis forced a detour. About 900,000 refugees fled the north, most of them Catholics fearing religious persecution and egged on by Western propaganda. The MSU advisers improvised frantically to help design and conduct a resettlement program. By all accounts, they acquitted themselves well, and the resettlement was hailed as a stunning success. 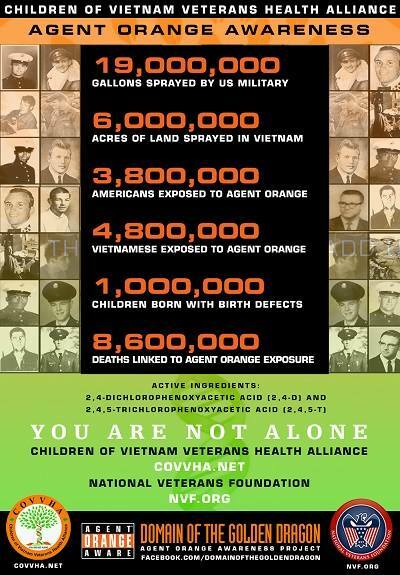 But it sowed the seeds of Diệm’s eventual downfall and the United States’ and South Vietnam’s defeat. The Catholic Diệm had little popular support in overwhelmingly Buddhist Vietnam. He packed key military and administrative posts with fellow Catholics and funneled prime land and resettlement to Catholic refugees at the expense of Buddhists. He distributed the Catholics at strategic points around the country, especially the central highlands, as buffers against insurrection. That meant uprooting the Montagnard minorities who had occupied the highlands for generations. 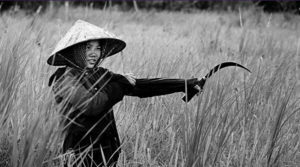 The Saigon government tried to Vietnamize the highlanders and pack them into “defensible communities,” a forerunner of the loathed “strategic hamlets” of the early 1960s. MSU anthropologists argued strenuously but vainly against this displacement. Their colleagues urged equal treatment for Catholic and Buddhist refugees—again in vain. Diệm’s highhanded policies alienated the Montagnards, opened the highlands to insurgency, sowed resentments that erupted in the Buddhist uprising of the early 1960s, and eventually helped bring him down. 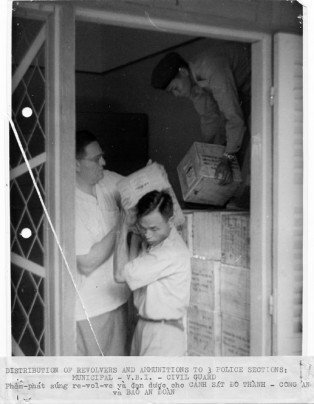 The cop profs achieved more in their efforts to turn the Vietnamese Bureau of Investigation (still known as the sûreté), which the French had used mainly for political control, into a modern investigative agency. They consolidated its scattered offices, updated its antiquated fingerprint system, installed a crime lab and helped implement a national identity card (laminated to prevent forgery, since “Charlie” didn’t have plastic). But they had less impact on the third leg of the police stool, the paramilitary Civil Guard. The MSU advisers urged that it become a rural police force, solving and preventing crime in the villages. The regime and U.S. military officials, avid for all the anti-insurgent forces they could muster, overruled them, and the Civil Guard became a device for expanding the military in defiance of limits set by the Geneva Accords. “MSUG was disturbed by the military atmosphere of what it considered to be civil law enforcement agencies, and wanted to see it minimized,” my father and his colleague Guy Fox wrote in Technical Assistance in Vietnam: The Michigan State University Experience, their MSU-funded critique of the project, published in 1965. In fact, by the time Ramparts asked it, my father and Guy Fox had already answered that question: Provisioning the police “consumed too much of [MSUG’s] energies … brought it into far too close a relationship with [the U.S. military command],” and “blurred for too many persons, including its own staff, its primary responsibilities as an educational institution.” Nevertheless, Hannah and Fishel continued to publicly deny that MSUG purchased guns or ammunition. That was hardly the most troublesome question the project raised. As my father and Fox disclosed and Ramparts subsequently trumpeted, the MSU Group had from its inception included a unit staffed and funded by the CIA that provided counterintelligence training and assistance to the Vietnamese sûreté. Among other contributions, this unit established a “clearing house” to perform security checks on police personnel and suspected “subversives,” complete with polygraph and microfilming machines, and bugged cells for eavesdropping on prisoners. Again, however, Hannah denied what not only Ramparts but my father’s and Fox’s MSU-funded volume had already revealed. “Let me state without any reservations that Michigan State did not have a spy operation within its Vietnam Project,” Hannah declared in a 12-page public statement rebutting the Ramparts article. “It did not have CIA people operating under cover provided by the University, or in secret from the Vietnamese government.” The notorious wartime “credibility gap” extended from Washington, D.C., to East Lansing. For a university to provide such systematic cover may have been unusual, but academe was one of many institutions, including the Fourth Estate, that the CIApenetrated during the Cold War. It recruited or placed dozens, probably hundreds of operatives as foreign correspondents and stringers. In 1977, the New York Times identified more than 30 who had worked at 22 major media outlets, including CBS, Time and, naturally, the New York Times. MSU’s CIA unit operated independently, reporting to the U.S. ambassador, and its members were distinguished by better language training than the professors had. Ernst writes that “most of the MSUG personnel were unaware of the CIA’s activities.” But anyone with an interest seemed to know about them. The cover was “quite transparent,” Fox and my father wrote, and the CIA association “tended to bring the whole MSU endeavor under suspicion.” An anthropologist working far out in the field was shocked to find himself rebuffed by local officials as a CIA operative. Would the next CIA-tagged researcher be kidnapped or killed? In 1959, when the MSUG’s contract with the Vietnamese and American governments was coming up for renewal, the project chief, Ralph Smuckler, sent my father the word from East Lansing: Michigan State would no longer provide cover. The CIA would have to go. When my father delivered the news, CIA and U.S. Operations Mission officials took it badly, but the unit moved to the U.S. Mission, which could no longer conceal its involvement in the conflict in South Vietnam. Over the next three years, that conflict deepened, as did America’s involvement and the Diệm regime’s repressive tactics. Thousands of suspected subversives, activists and political opponents were imprisoned, tortured, executed or assassinated. Fishel urged his old friend to temper his ways, but continued to support him publicly, much as he would continue to support the U.S. war effort in the coming years. These inconvenient truths were hardly radical stuff. But, as Ernst recounts, word came back from the palace that “President Diệm was resentful of Bob Scigliano’s article.” He also took exception to a briefer one in the same journal issue, in which MSU economist James Hendry lamented that the United States didn’t get credit at the village level for all the economic aid it sent Vietnam. In 1961, three other former MSUG members published more vehement articles in The New Republic on Diệm’s “police state,” making much the same case that Ramparts would make five years later. One even criticized his MSU colleagues for not speaking out. Diệm was livid. Fishel and other MSU officials tried to explain that academic freedom being what it is, they could not censor their professors. “It took a certain amount of courage, or balancing, on Fishel’s part,” says my father; he himself suffered no backlash from the university for his own departures from the regime line. Diệm, not surprisingly, was unmollified. He announced that MSU’s contract would not be renewed when it expired in 1962. Fishel, now back in East Lansing, returned to Saigon to try to patch things up. But he came away disenchanted at the South Vietnamese leader’s descent into isolation and autocracy under the “evil influence” of his brother Ngô Đình Nhu and sister-in-law. He warned MSU President John Hannah that Diệm, and perhaps South Vietnam itself, would not survive. 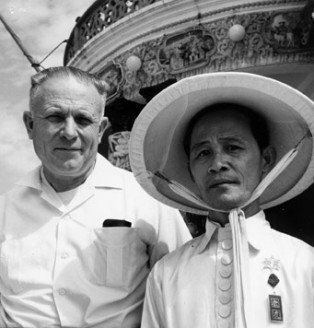 MSU President John Hannah and an unknown Vietnamese official during Hannah’s trip to Vietnam in March 1961. | MSU Archives and Historical Collections. 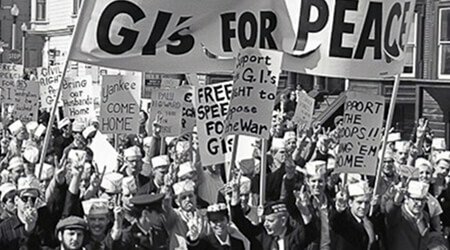 Hannah forwarded Fishel’s report to President John F. Kennedy, who the next year greenlit a military coup in the country, the first in a musical-chairs round of regime changes as America sought a miracle worker who could save South Vietnam. Diệm and Nhu were summarily killed. The Michigan State profs were fortunate not to be there. They missed the massive military buildup, the notorious Phoenix Program, the Têt offensive, the carpet bombing, napalming and chemical defoliation of large swathes of the country, the northern army’s sweep south, and the fall of Saigon. 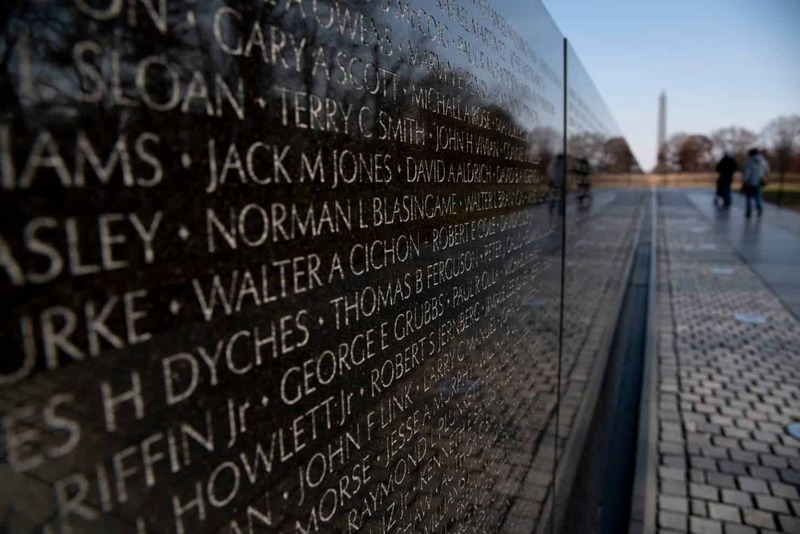 We family members who remembered Vietnam as a tropical idyll watched the news in horror. Shock waves continued to rock East Lansing. 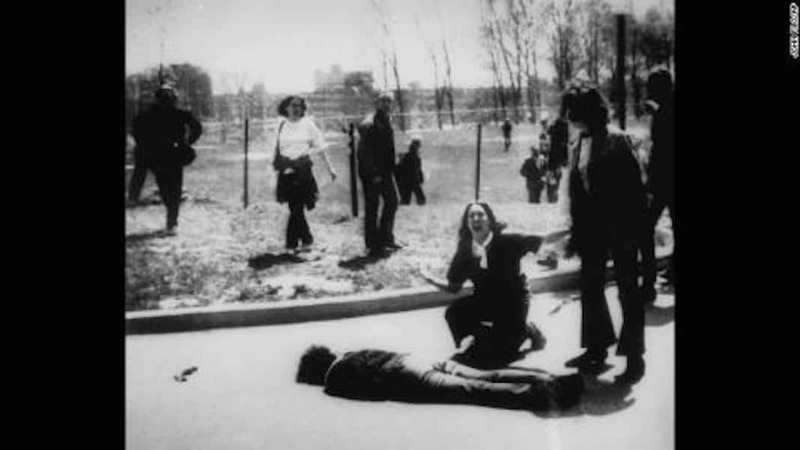 Backlash against MSU’s Vietnam involvement made it an early hotbed of organizing by the Students for a Democratic Society (which was founded nearby at the University of Michigan), and the school became home to what may have been the nation’s first campus-based underground newspaper. Fishel remained a lightning rod for antiwar protesters, who stormed his classes, and for ex-colleagues such as Sheinbaum, who never forgave Fishel’s entanglement with “third force” dictatorship. Fishel remained defiant, though he too grew disenchanted with the conduct of the war. He faced down protesters, advised the administration of President Lyndon B. Johnson, even served as chairman of the pro-war American Friends of Vietnam. His patron, Hannah, took similar flak, then resigned abruptly from MSU in 1969 and became director of the U.S. Agency for International Development. There, he approved funding for a Center for Vietnamese Studies that Fishel launched at Southern Illinois University. The protests and collegial scorn followed Fishel there and back to East Lansing. He found himself dead-ended professionally and blamed resentment of his Vietnam work. Some colleagues blamed the stress for contributing to his early death at the age of 57. Sheinbaum angrily rebutted accusations that his criticism helped drive Fishel to the grave. Since then, Michigan State has undergone a collective process of self-examination over its role in Vietnam. In 1998, its university press released Ernst’s Forging a Fateful Alliance, the most complete history published of the MSU Group. Formerly assailed for packing its Vietnam records away uncatalogued, the university has since digitized more than 80,000 documents and posted them online. Any academic or intellectual tempted to enlist in future U.S. efforts to remake other nations would do well to consult both. Eric Scigliano is a Seattle-based author and journalist and co-translator of a selection of the wartime songs of Trịnh Công Sơn, published by Yale University’s Vietnam Forum.